This one might be in the running for easiest dinner ever. Seriously. 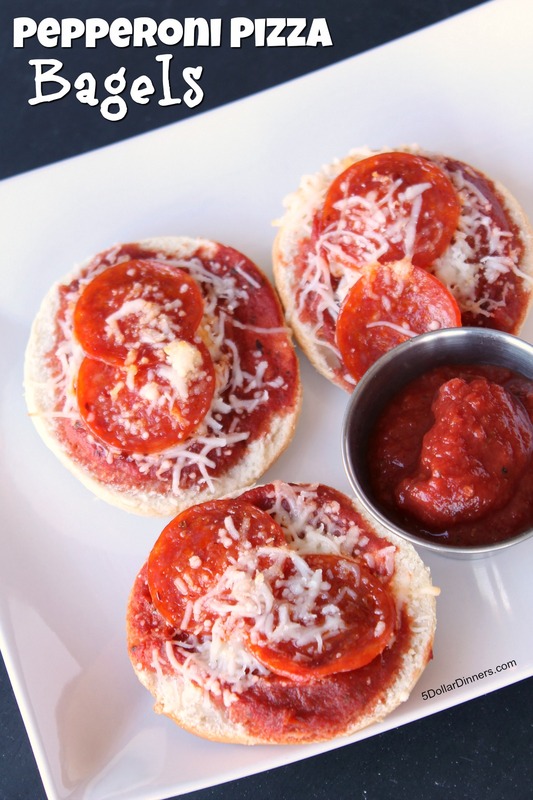 Bagel – pizza sauce – cheese – pepperoni – more cheese – 7 minutes in the oven. See…don’t you think this should win “easiest dinner ever”??? What’s your easiest dinner ever meal??? Heat oven to 400 F. Line a baking sheet with parchment paper or a silicone baking mat. Place the bagel halves on the baking mat with the cut side facing up. Spoon about a tablespoon of pizza sauce onto each bagel. Spread to the edges. Top with a few pinchfuls of shredded cheese. Place the pepperoni slices on top. Add another pinchful or two with the remaining cheese. This will help keep the pepperoni from sliding off. Bake in the preheated oven for 7 minutes, or until cheese is melted. Remove from oven. 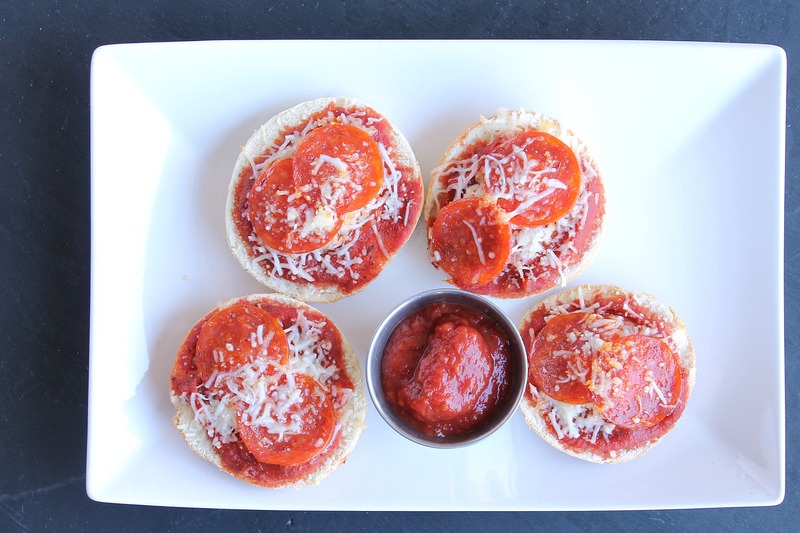 Serve Pepperoni Pizza Bagels with remaining pizza sauce for dipping and some fresh fruit.